Canton Lake Debacle: Gov. Quinn, Do You Know Your IEPA Might Permit the State's Most Destructive and Reckless Strip Mine? Over six years ago, Gov. Pat Quinn joined a statewide effort to halt a reckless strip mine along the Copperas Creek watershed in Fulton County, declaring that "Rice Lake, Banner Marsh and the Illinois River are too vital to the region for us to allow the devastating effects of strip mining." Less than 10 miles away, a breathtakingly reckless proposal to unleash a new strip mine and allow toxic discharges into the same Copperas Creek branches, on the outskirts of Canton Lake -- the sole source of drinking water for an estimated 20,000 people -- now makes Gov. Quinn's personal intervention even more urgent. 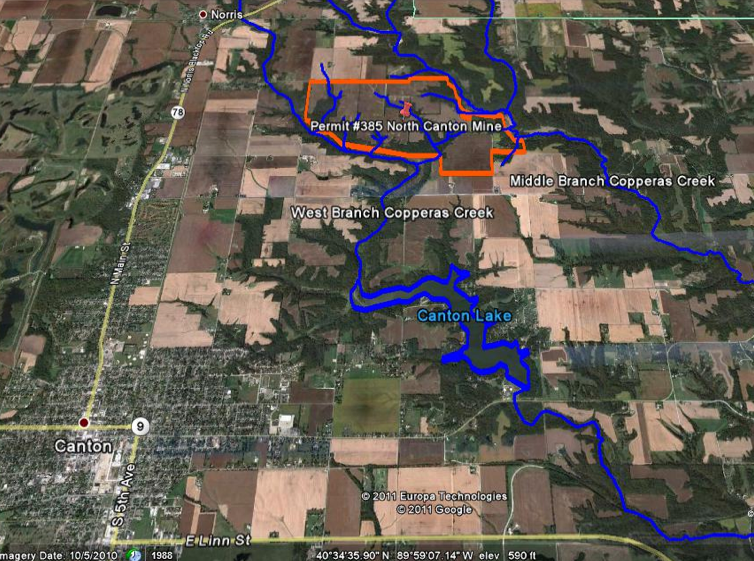 In a stunning disregard for the rule of law and science, and potentially catastrophic health and environmental damages, the Illinois EPA has issued a draft NPDES Water Discharge Permit and Water Quality Certification for the North Canton Mine -- quite possibly one of the most egregious, reckless and downright stupid strip-mine proposals in the 150-year history of coal mining in Illinois. It gets worse: Completely dismissing the long-time objections of Canton and affected Orion Township residents, the IEPA is effectively handing over the fate of the area's drinking water and health safety to a rogue operator that is currently embroiled in a lawsuit by the state's Attorney General for more than 300 Clean Water Act violations at its nearby Industry, Illinois strip mine. To be sure, despite the fact that the company has remained out of compliance since legal action began two years ago, the IEPA has yet to issue any fines. It gets even worse, yet: Despite inflated and unverified claims of employment, an estimated 28-45 market-driven jobs that would most likely go to out-of-town heavy equipment operators, the strip mine company could potentially besiege the quiet main street town of Canton with an estimated 200-250 coal trucks, each precariously hauling 40,000 pounds of coal in a school-time rush to the loading docks, risking not only fatal accidents and alarming health hazards, but derailing other economic and real estate developments. Gov. Quinn: While green job investments and renewable energy projects are revamping small town and rural communities -- such as Pike County, where a $300 million industrial wind farm will generate 600 jobs -- it's time to bring your IEPA into the 21st century and halt this threat to the health of central Illinois' citizens, watersheds and wildlife habitats. In fact, the question begs: Just as citizens groups in neighboring Kentucky are now turning the spotlight on the corrupt and inept policies of that state's environmental agencies, in what is being hailed as Big Coal Watergate, should Gov. Quinn open up an investigation into IEPA's record of oversight and regulatory management of coal mining permits? In light of the lack of compliance and violations of Clean Water Act laws, is Gov. Quinn's IEPA making a mockery out of the legal responsibility and moral obligation of the state on behalf of its citizens? In a chilling reminder of IEPA policy last April in Macomb, at a special permit hearing on the Industry Mine, in response to one local resident's question -- "In the past the IEPA has refused -- has the EPA in the past refused to issue a permit to a serial violator to a coal surface mine?" -- an IEPA official admitted that he could not "recall denying a permit." 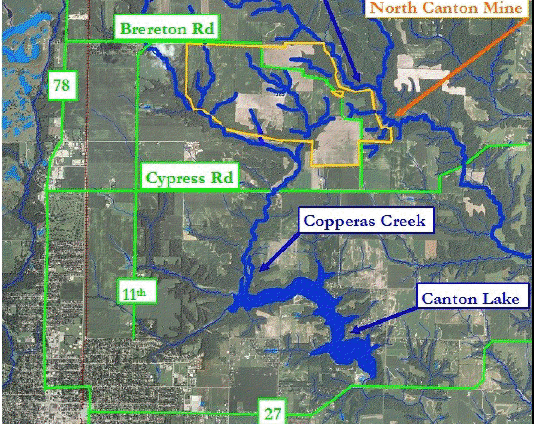 On December 6th, Orion Township and Canton residents will gather for their own hearing over the North Canton Mine permit. In the heart of Illinois' beloved Spoon River country in Fulton County, Edgar Lee Masters warned near a century ago of the "false chronicles of the stones." It's time for Gov. Quinn to reject the false chronicles of incorrigible coal company outlaws, intervene on the proposed North Canton Mine, and prevent this health and environmental disaster in waiting. To join the affected residents of Canton, you can sign this petition to Quinn.